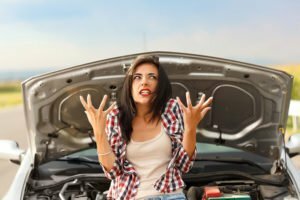 Fixing your car may be a simple task, but you want to avoid these common mistakes. Working on and repairing your own car or truck can be a valuable activity or hobby for many car people. There is certainly a good amount of personal satisfaction and reward that can come with doing the work yourself instead of having someone else do it–not to mention the money you save on labor. That said, even the best car enthusiasts can make mistakes when fixing their car. Here are DIY car fix-ups you want to avoid. When lifting your car or truck you want to make sure that you are using the proper lift points on the vehicle, working with a jack stand instead of working solely under a jack, and that the wheels are securely chocked. Having the parking brake on is another measure of safety you’ll want to take. Cars today are getting more complex and complicated than ever before. Something that used to be easy may now turn out to be a much more challenging task. There are likely many online videos of your project and watching one before you tackle this one will give you a good idea if this complex procedure is something you can do. The manual will give you all the things you need to know like torque specs and fluid capacities to make sure you do a proper job. If there is a huge price difference between the auto shop and one you found online, you want to make sure you know the true difference between the two. For certain maintenance parts, the cheapest one may turn out to be cheap for a reason: bad quality. For things like engine filters, buying the cheapest one may be worth it; things like brakes, on the other hand, where your life depends on it, may not be. For car accidents, you’ll want to have a quality auto insurance policy in place. To get the coverage you need to be protected post-accident, contact Pierce Insurance Group in McKinney, Texas today.